The Landsat 8 data was collected on 9 February 2018. Nigel, the world's loneliest bird, was no victim. He was a hero. The story of Nigel, a seabird who lived and died among concrete decoys on a rocky New Zealand island, flew around the world last week. It was widely received as a tragedy. Here was a beautiful gannet bird who had been lured to a strange place by humans. In the face of solitude, he directed his mating instincts toward a false love interest: a painted decoy, still and stone-hearted, eternally oblivious to his wooing. Years passed, no other gannets arrived, and there Nigel died, alone in the nest he built his cement princess. But conservationists are not mourning his fate. Nigel, they say, was a hero among gannets — a tragic hero, maybe, but a hero nonetheless. Nigel the gannet and two concrete friends. “He was a pioneering spirit,” said Stephen Kress, vice president of bird conservation at the National Audubon Society. Kress knows something about being a pioneer. In the early 1970s, he came up with the idea of using decoys and recorded bird calls to attract seabirds to islands. He was trying to reestablish a colony of Atlantic puffins on Eastern Egg Rock, a Maine island where hunters had wiped out the birds a century before. But the method he was using — moving chicks to the island and hoping they’d come back to nest there — was not working. Then Kress had a revelation. “It kind of hit me one day that the thing that was missing for this highly social bird, that always nests in colonies, was others of its kind,” Kress said. A photo of Nigel’s favorite spot, taken a few days after his death. He also broadcast puffin calls, because puffins are vocal. And he put out mirrors, because although the birds were savvy enough to lose interest in an immobile model, they seemed “fooled” into believing their own reflections were peers, Kress said. As of last summer, Eastern Egg Rock was home to 172 puffin breeding pairs. And Kress’s method, known as “social attraction,” is now used worldwide to start seabird colonies on islands. That includes in New Zealand, where gannets are not endangered but are clustered in just a few places. Wildlife officials would like them to be “more geographically diverse,” said Chris Bell, a conservation ranger who is the sole human inhabitant of Mana Island, where Nigel made his home. Mana was deemed a good site for a gannet social attraction project because invasive predators have been eradicated and because the birds, with their fertilizing guano, could help “restore the kind of ecosystem [the island] had before humans arrived,” he said in an email. Yet such projects depend on birds that defy their deep instinct to return to their birthplace — a tendency known as philopatry. In other words, success depends on Nigels. “Without birds like Nigel, there wouldn’t be any new colonies. The species would be locked into this philopatric pattern,” leaving it vulnerable to wipeouts caused by introduced predators or sea-level rise or illness, Kress said. The Mana project began in the late 1990s, when schoolchildren first painted gannet decoys, but it was not until 2015 that a real one — Nigel — showed up. By staying, Bell said, Nigel acted as a living, breathing advertisement for the spot. In recent months, after Bell and colleagues moved the speakers playing gannet calls closer to the decoy colony, three more gannets showed up. Gannets “like to see that other birds have gone there before they trust a place,” he said. Chris Bell, a conservation ranger on Mana Island, and some of the 80 concrete gannet decoys used to attract real gannets. Despite the bird’s isolation, Bell said New Zealand conservation officials never considered relocating Nigel. Gannets are known to fly thousands of miles between Australia and New Zealand; Mana Island is located just two miles from New Zealand’s North Island. “Nigel was a free agent,” said Bell, who added that officials are performing a necropsy to confirm the bird’s cause of death, which they suspect was old age. Many seabirds attracted to islands by decoys leave early on, Kress said. Nigel may simply have seen advantages in Mana that his fellow gannets did not: a sense of peace, a lack of crowds, a strife-free relationship. “Either they’re going to attract other members of their kind, or they’ll give up and they’ll leave,” Kress said. “Nigel could have done either of those things. to learn how they eat and fly out in the deep oceans. Global sea level rise is accelerating incrementally over time rather than increasing at a steady rate, as previously thought, according to a new study based on 25 years of NASA and European satellite data. If the rate of ocean rise continues to change at this pace, sea level will rise 26 inches (65 centimeters) by 2100--enough to cause significant problems for coastal cities. Sea level rise is happening now, and the rate at which it is rising is increasing every year, according to a study released Monday in the Proceedings of the National Academy of Sciences. 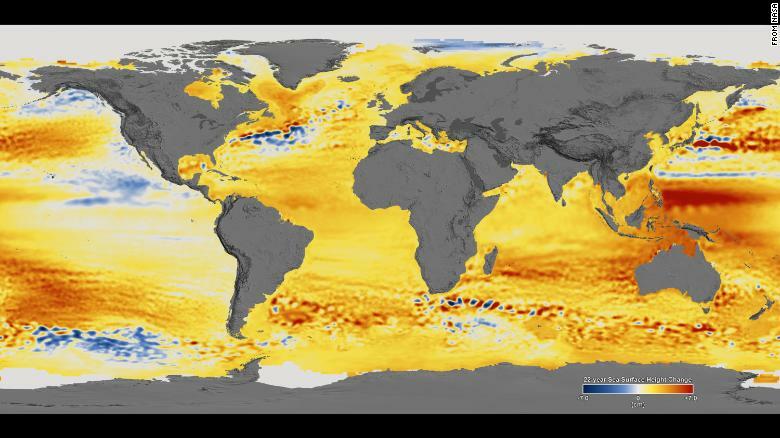 Researchers, led by University of Colorado-Boulder professor of aerospace engineering sciences Steve Nerem, used satellite data dating to 1993 to observe the levels of the world's oceans. Changes in sea level observed between 1992 and 2014. Orange/red colors represent higher sea levels, while blue colors show where sea levels are lower. Using satellite data rather than tide-gauge data that is normally used to measure sea levels allows for more precise estimates of global sea level, since it provides measurements of the open ocean. The team observed a total rise in the ocean of 7 centimeters (2.8 inches) in 25 years of data, which aligns with the generally accepted current rate of sea level rise of about 3 millimeters (0.1 inches) per year. But that rate is not constant. Continuous emissions of greenhouse gases are warming the Earth's atmosphere and oceans and melting its ice, causing the rate of sea level rise to increase. "This acceleration, driven mainly by accelerated melting in Greenland and Antarctica, has the potential to double the total sea level rise by 2100 as compared to projections that assume a constant rate, to more than 60 centimeters instead of about 30," said Nerem, who is also a fellow with the Cooperative Institute for Research in Environmental Science. That projection agrees perfectly with climate models used in the latest International Panel on Climate Change report, which show sea level rise to be between 52 and 98 centimeters by 2100 for a "business as usual" scenario (in which greenhouse emissions continue without reduction). Therefore, scientists now have observed evidence validating climate model projections, as well as providing policy-makers with a "data-driven assessment of sea level change that does not depend on the climate models," Nerem said. Sea level rise of 65 centimeters, or roughly 2 feet, would cause significant problems for coastal cities around the world. Extreme water levels, such as high tides and surges from strong storms, would be made exponentially worse. Consider the record set in Boston Harbor during January's "bomb cyclone" or the inundation regularly experienced in Miami during the King tides; these are occurring with sea levels that have risen about a foot in the past 100 years. Now, researchers say we could add another 2 feet by the end of this century. using the newly calculated acceleration rate. Nerem and his team took into account natural changes in sea level thanks to cycles such as El Niño/La Niña and even events such as the 1991 eruption of Mount Pinatubo, which altered sea levels worldwide for several years. The result is a "climate-change-driven" acceleration: the amount the sea levels are rising because of the warming caused by manmade global warming. 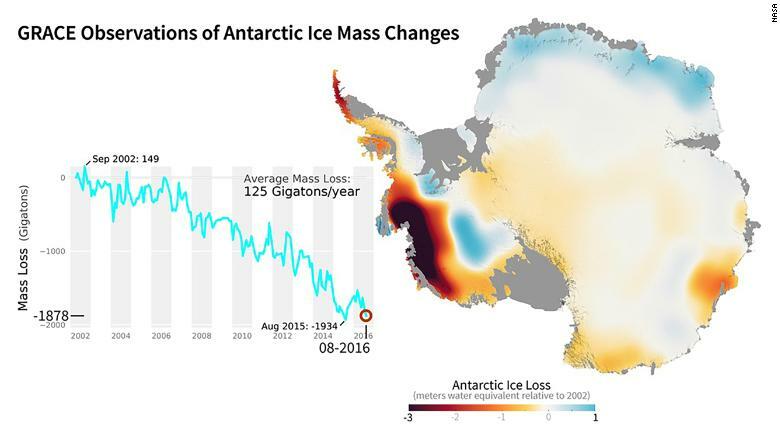 NASA's GRACE mission used satellites to measure changes in ice mass. This image shows areas of Antarctica that gained or lost ice between 2002 and 2016. Currently, over half of the observed rise is the result of "thermal expansion": As ocean water warms, it expands, and sea levels rise. The rest of the rise is the result of melted ice in Greenland and Antarctica and mountain glaciers flowing into the oceans. From the South Pole to Greenland, from Alaska’s glaciers to Svalbard, NASA’s Operation IceBridge covered the icy regions of our planet in 2017 with a record seven separate field campaigns. The mission of IceBridge, NASA’s longest-running airborne science program monitoring polar ice, is to collect data on changing ice sheets, glaciers, and sea ice, and maintain continuity of measurements between ICESat satellite missions. 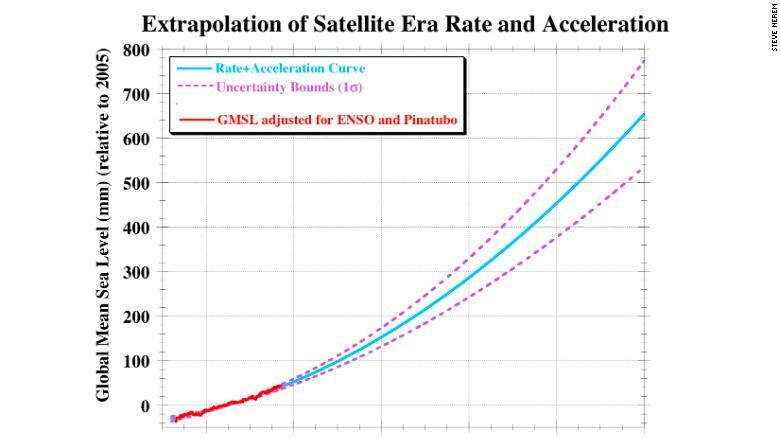 "Sixty-five centimeters is probably on the low end for 2100," Nerem said, "since it assumes the rate and acceleration we have seen over the last 25 years continues for the next 82 years." "We are already seeing signs of ice sheet instability in Greenland and Antarctica, so if they experience rapid changes, then we would likely see more than 65 centimeters of sea level rise by 2100." Penn State climate scientist Michael Mann, who was not involved with the study, said "it confirms what we have long feared: that the sooner-than-expected ice loss from the west Antarctic and Greenland ice sheets is leading to acceleration in sea level rise sooner than was projected." EuroNews : Rising sea levels threat: a shrinking European coastline in 2100? NOAA hydrographic survey ships and contractors are preparing for the 2018 hydrographic survey season. Operations are scheduled for maritime priority areas around the country. North Coast of Kodiak Island – Last surveyed in 1932, this survey project focuses on areas inadequate for safe navigation, particularly along the corridor of vessel traffic transiting from Kodiak. West of Prince of Wales Island – These complex waterways are critical to the economic success of local coastal communities on Prince of Wales Island. This survey project updates previous surveys dating back to 1916. Tracy Arm Fjord – Frequently visited by cruise ships and tourist vessels, modern surveys will increase maritime safety and address the needs of the maritime pilot community. 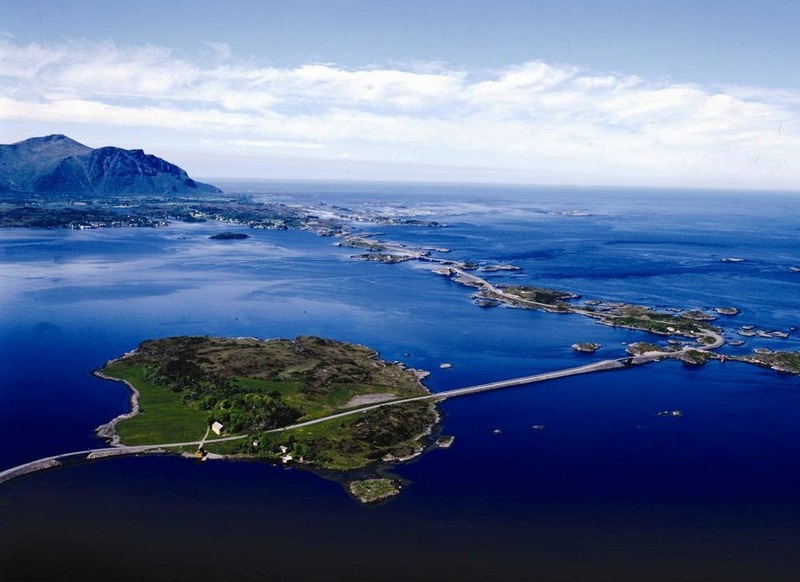 Lisianski Strait and Inlet – This navigationally complex area experiences a large volume of marine traffic, with the vast majority of the inlet last surveyed in 1917. This project provides contemporary surveys for the area. 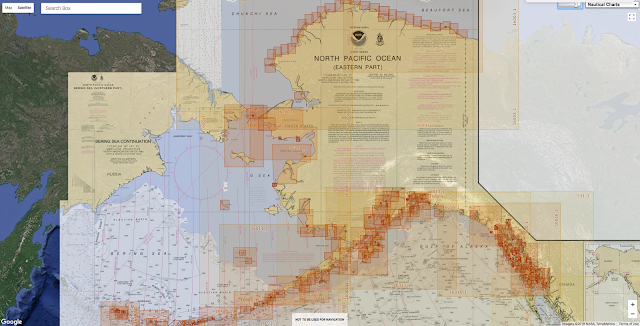 Southwest Alaskan Peninsula – This survey project updates nautical charting products to support the increase in vessel traffic in Unimak Passage. Fishing fleets in Bristol Bay and Bering Sea frequent this area. 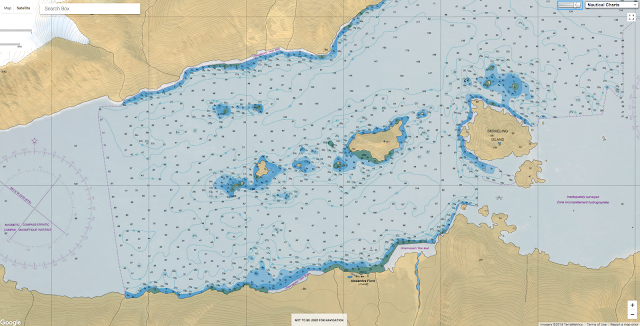 Morzhovoi Bay – With parts of the bay last surveyed in the 1920s and 1950s, this survey project focuses on areas inadequate for safe navigation. Point Hope and Vicinity – Vessel traffic is increasing each year as sea ice recedes. Seventy percent of the area remains unsurveyed. Puget Sound, Washington –This moderate to high traffic density area includes several ferry routes. Current surveys of the area consist of partial bottom coverage and in some areas, lesser coverage. 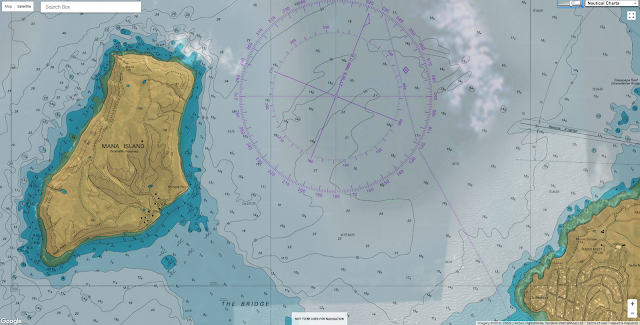 Channel Islands and Vicinity, California – This survey project provides data for crucial nautical chart updates and also generates backscatter data used in habitat mapping in the Channel Islands National Marine Sanctuary. Chandeleur, Louisiana – This survey area includes active oil and gas exploration areas and future state-leasing waters and is also shoaler than 20 fathoms throughout. This survey will identify hazards and changes in bathymetry. Mississippi River, Louisiana – The ports of the southern Mississippi River represent the largest part complex in the world and one of the most heavily trafficked waterways in the United States. This survey project supports new, high-resolution charting products for maritime commerce. Louisiana Coast – This survey project addresses concerns of migrating shoals and exposed hazards in the vicinity of the Atchafalaya River Delta and Port of Morgan City. 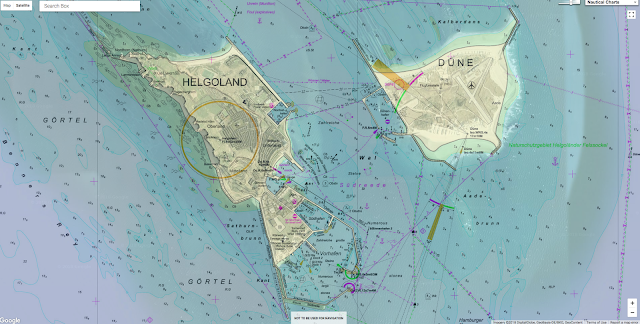 Approaches to Houston, Texas – The current chart coverage of the area between Galveston Bay and Sabine Bank Channels shows numerous reported wrecks and obstructions. 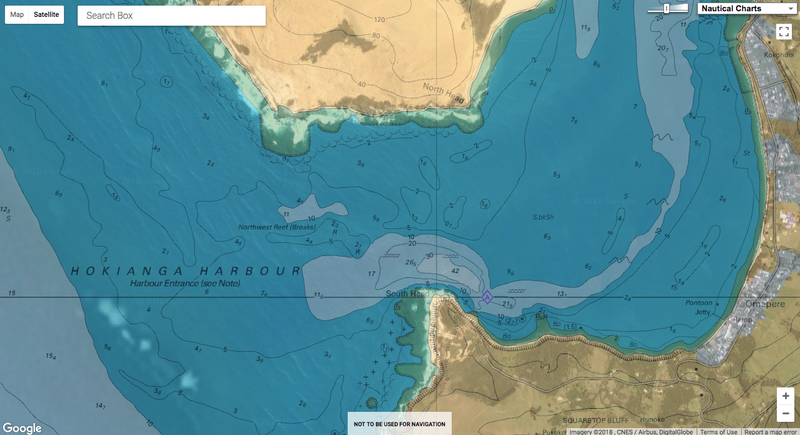 This survey will identify changes to the bathymetry and resolve position uncertainty in known hazards. Florida Keys National Marine Sanctuary, Florida – This survey project provides updates to nautical charting products of the area and supports marine habitat research projects through the National Center for Coastal Ocean Science and the Office of National Marine Sanctuaries. Approaches to Chesapeake Bay – This multi-year survey covers the approaches to Chesapeake Bay to support the safety of commerce and monitor the environmental health of the region. 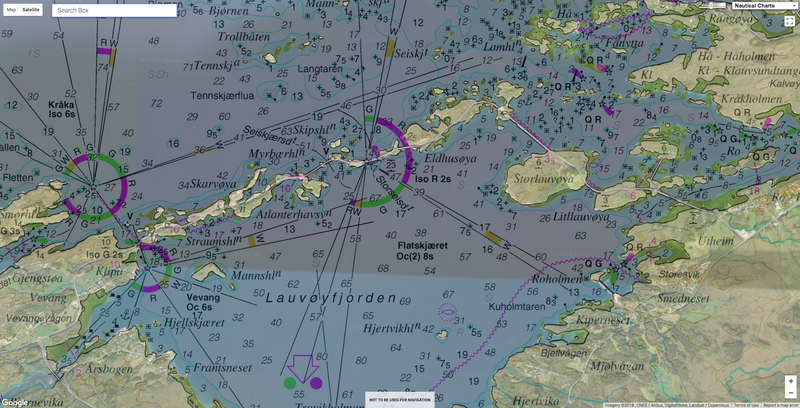 Approaches to Jacksonville, Florida – The Port of Jacksonville entrance channel is in need of updated charts to meet the needs of larger ships. 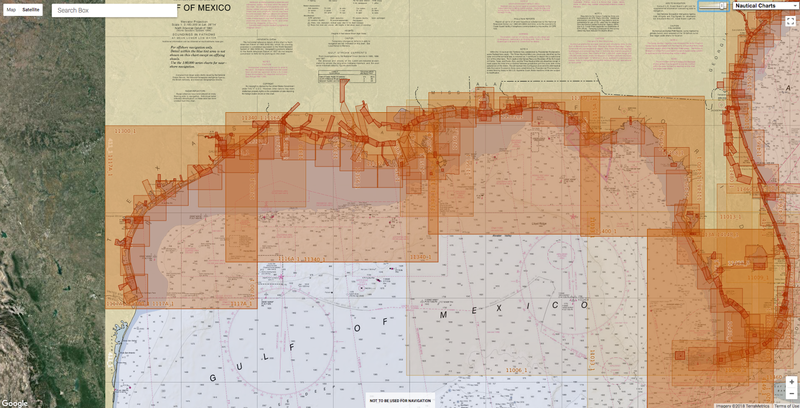 Puerto Rico – NOAA will return to the island of Puerto Rico and conduct surveys to update the nautical charts in critical need of revisions following Hurricane Maria. The 2018 field season will begin in April. That is when NOAA’s four hydrographic survey ships–Thomas Jefferson, Ferdinand Hassler, Rainier, and Fairweather–and private survey companies on contract with NOAA will tackle their assigned survey projects. 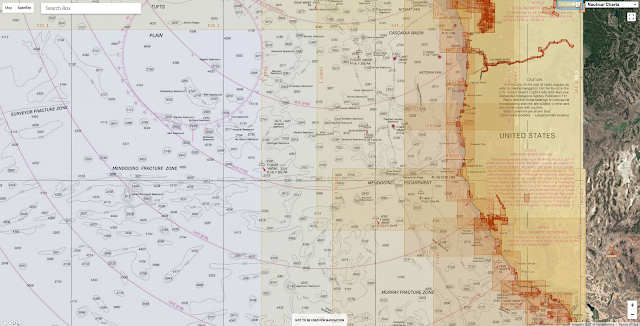 The NOAA ships are operated and maintained by the Office of Marine and Aviation Operations, with hydrographic survey projects managed by the Office of Coast Survey. 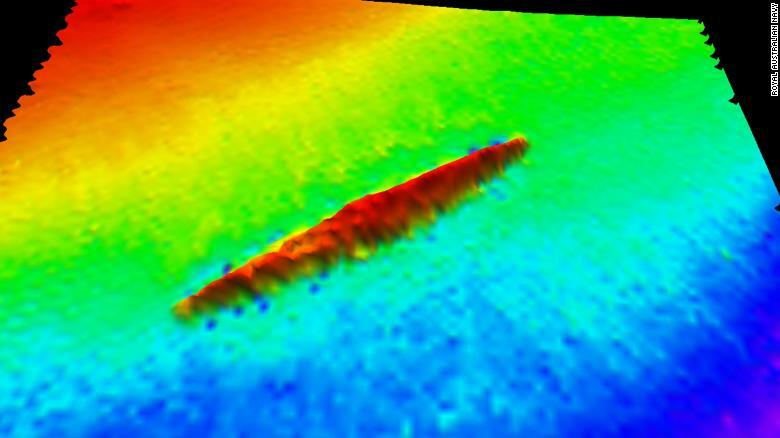 It's taken 103 years of searching but the wreck of Australia's first naval submarine has been found. The HMAS AE-1 was the first Allied submarine lost in World War One. 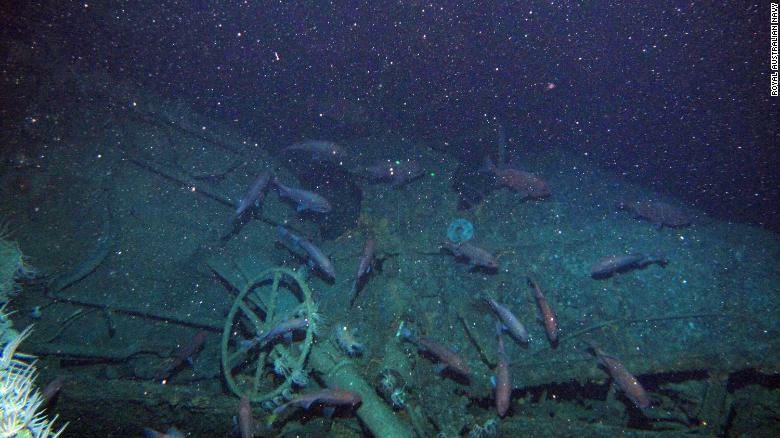 The wreck of Australia's first submarine has been discovered off the coast of Papua New Guinea after disappearing without a trace 103 years ago. 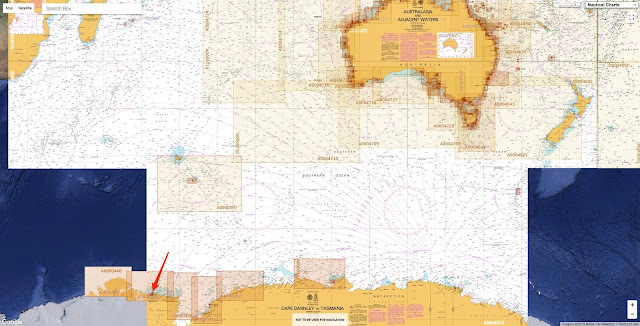 Last known position of WW1 sub HMAS AE1, found 300m below the sea's surface. "Australia's oldest naval mystery has been solved," said Australia's Minister for Defense Marise Payne. The Royal Australian Navy submarine HMAS AE1, which was carrying 35 crew members from Australia, Britain and New Zealand, sank near Rabaul on the island of New Britain on September 14, 1914. World War I had begun just a few weeks earlier and the disappearance marked the country's first loss in the conflict. "This is a great day for Australian maritime history," said Brendan Nelson, director of the Australian War Memorial, in a statement. "When the AE1 went missing in 1914 it had a profound impact on our young nation," he said. "Now we can properly mourn the deaths of those men who served in AE1, and commemorate their sacrifice in a meaningful and fitting way." Following the discovery, those on board the survey vessel that found it held a small commemorative service to remember those who lost their lives. Efforts are being made to find any descendants of the submarine's crew members. The submarine has been described as "remarkably well preserved." An expedition set out earlier this week to search the waters near the Duke of York Island group in Papua New Guinea. 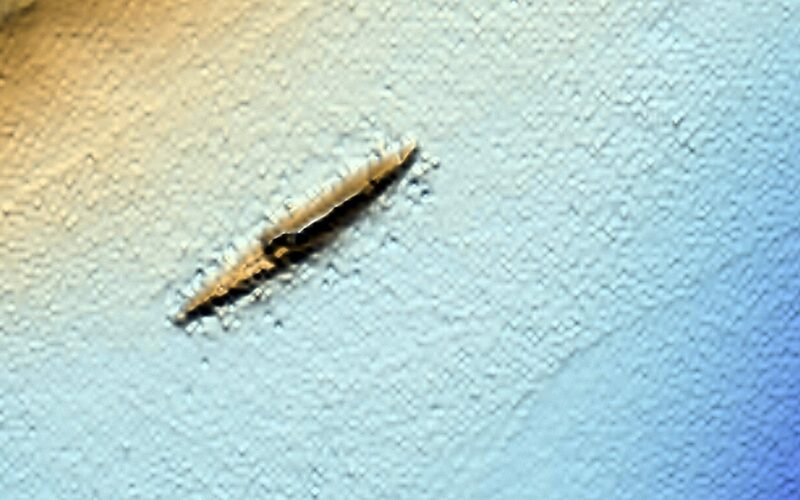 The team of maritime surveyors, marine archaeologists and naval historians used a multi-beam echo sounder and side-scan technology in an underwater drone flying 40 meters above the seabed to scour the area. According to Defense Minister Payne, this was the 13th time a team had set out to search for the missing submarine. The AE1, Australia's first submarine, was commissioned at the outbreak of World War I. Along with one other submarine (AEII) and several cruisers and destroyers, it was sent to New Guinea -- a German colony at the time -- to serve in operations against the enemy, according to maritime archaeologist Michael McCarthy. But just six weeks after the start of the war, AE1 mysteriously disappeared while on patrol. A search for the vessel "was quickly abandoned" when Australian units in the area were required elsewhere, McCarthy wrote in a 2009 essay. "AEI was then forgotten by all bar a few." Searches in the late 1970s and 1980s were unsuccessful, as were more recent efforts spearheaded by John Foster, a commander in the Australian Navy, who spent his retirement searching for AE1 but died in 2010. "When a submarine just disappears, it can be anywhere," Innes McCartney, nautical archaeologist and Leverhulme research fellow at Bournemouth University in the UK, told CNN. Search teams are often working across a very large area and in very deep water, he explained. "There are hundreds and hundreds (of submarines) on the bottom of the ocean," McCartney said. "They are generally chance finds." 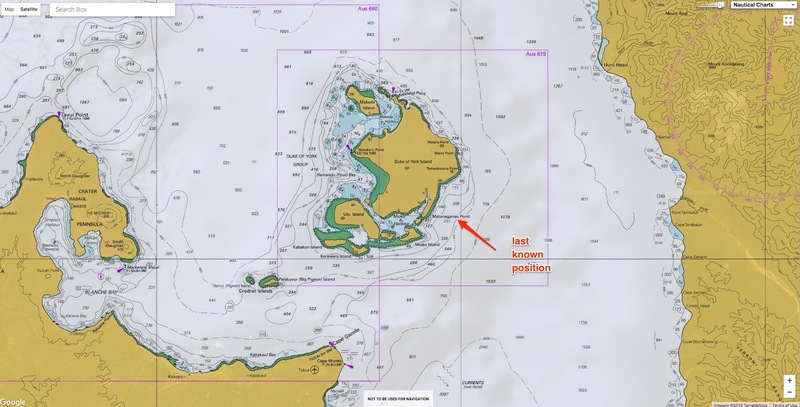 The first glimmer of hope this week came when the search vessel Fugro Equator identified an "object of interest" 300 meters below the surface. After producing a three-dimensional rendering of the object, the team dropped a camera to confirm the find. The vessel seems to be "remarkably well preserved and apparently in one piece," according to the Ministry of Defense. The cause of the sinking is not yet known. While some believe the vessel could have struck a reef while moving in poor visibility, others think it was lost in a practice dive. According to McCartney, there is a "very good chance" that archaeologists will be able to solve the mystery by studying the outer surfaces of the wreck. These submarines, which were designed and built in Britain, "were successful and they were reliable," said McCartney. "But submarining is inherently dangerous and submarines hadn't been around that long." The war was their "first great test." 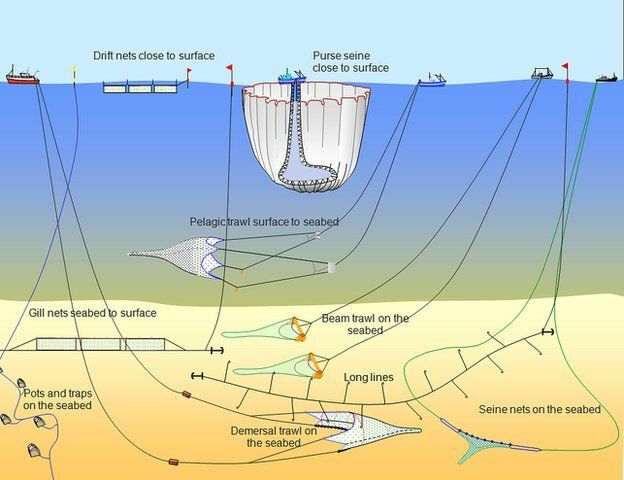 Mark Sander, president of the Submarine Institute of Australia (SIA), one of the organizations involved in the search, described the discovery as "both a satisfying and somber occasion." "Australia will never forget the crew of HMAS AE1 who are on eternal patrol," he said in a statement. A number of groups were involved in the expedition along with the SIA, including the Australian National Maritime Museum, the Silentworld Foundation, Fugro Survey and the Papua New Guinea government as well as the Australian Royal Navy. Industrialization hasn't made fishing more efficient. It’s often said that there are plenty more fish in the sea. For most of human history, that was true. From ancient Minoans to postwar industrial trawl fleets, mankind found wealth from harvesting more and more of the sea’s seemingly endless abundance of creatures. The more fishermen tried, the more their catches grew, such that, between 1950 and the mid-1990s, global fish landings more than quintupled. And then, suddenly, that stopped. Since then, the world has hauled up roughly the same volume of fish out of the ocean each year—about 85 million tonnes, on average. 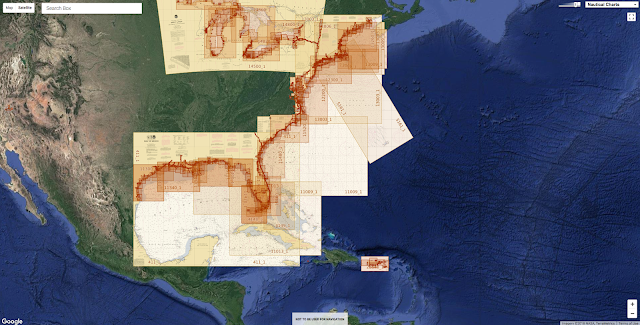 It’s not hard to guess the culprit: overfishing. Similarly well-known is that overfishing is a problem of biology: we’re hauling up too many fish, leaving too few adult ones behind to repopulate. But if fewer and fewer fish are left behind to replace themselves, why have we caught around the same volume of them each year for the last two decades? The answer, explored in an important new World Bank study, reveals a little-understood dimension of why overfishing is so destructive. 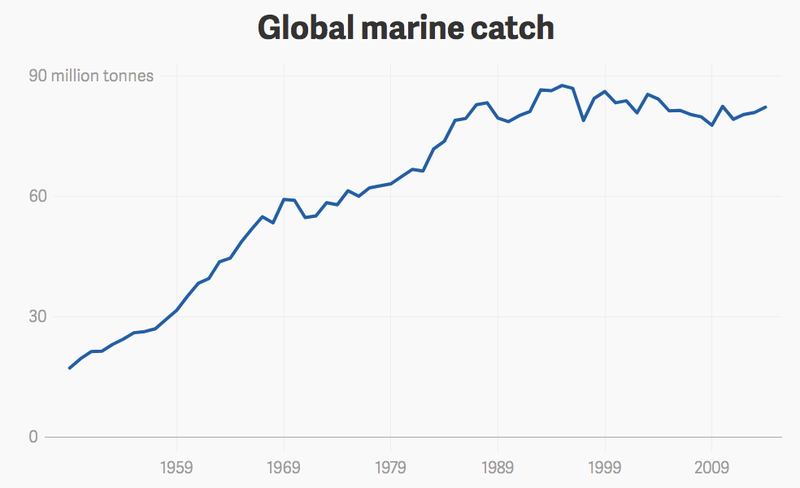 It’s not just biologically unsustainable; our global marine fisheries are also uneconomic. That’s because we’re pouring more and more effort into fishing, and still getting the same result. Nowadays, more people are using more boats, more fuel, and more technology to catch sea creatures than ever before in human history. The global fleet doubled in the last four decades, according to UN FAO data, and the ranks of fishermen has more than tripled. At the same time, heavy technology investment—in things like more powerful engines, fancier fishing gear and spiffy fish-location devices—likely boosted fishing efficiency of fishing capital and labor, according to 2017 World Bank report, The Sunken Billions Revisited. Different fishing techniques inflict a very specific type of environmental damage. Taken together, global fishing effort has surged at least fourfold in the last 40 years, while the level of catches has not even doubled, says Charlotte de Fontaubert, senior fisheries specialist at the World Bank. “If we have to fish four times as much in order to catch twice as much fish, the only way to explain that differential between the increase in catching and [the catch levels] is that stocks have declined,” says de Fontaubert, who co-authored The Sunken Billions Revisited. This is a problem of productivity, the measure of how much value a person creates per hour. When productivity grows, it means we’re making more with less. 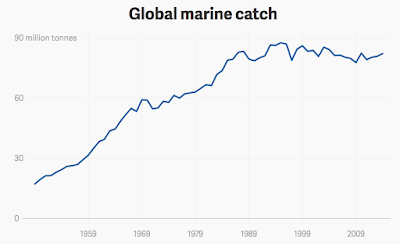 Global marine fisheries are doing something approaching the opposite: making the same with more. But how has such an unproductive industry been chugging along for so long? In its fuller picture of the global marine balance sheet, the new World Bank report tallies up not just assets of fisheries, but also costs and subsidies. The global fishing industry landed $164 billion worth of marine fish in 2014. However, taking into account labor, capital, and fuel costs and subsidies, global fisheries produced a net loss of $44 billion, according to the World Bank. Of course, that’s not true for every country. Out of 139 countries evaluated, 64 generated profits from their fisheries, even after accounting for subsidies. But the fisheries of 75 countries aren’t actually generating wealth. There’s a word for these fisheries: zombies, unprofitable enterprises kept on life support by government subsidies. One problem with zombies is that they waste resources that could be directed toward productive uses—for example, retraining fishermen to work in other industries. Another problem is that, freed from suffering the punishing effects of economic logic, they can keep prices low. That can drive sustainably operating fishermen out of business. For seafood lovers—at least, the ones who don’t eat exclusively sustainably caught fish—there is a perverse upside to the zombie status quo. Sushi sure is cheap when it’s bought and paid for by taxpayers. When plastic trash degrades in the ocean, it doesn't just go away: It becomes countless tiny particles, and little creatures called larvaceans sweep it up--and into the food chain.